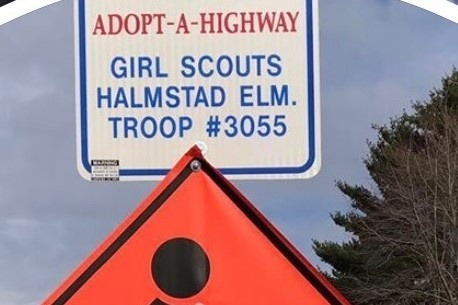 The Chippewa Falls, WI community is devastated with the news of deaths of three young Girl Scouts from Troop #3055 and a mother were tragically killed while in the process of doing their community service project of picking up trash along side the road. 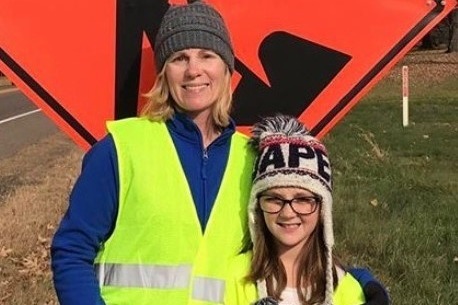 All safety precautions were taken for the girls (safety vests and supervision) yet a black F150 pickup truck struck the girls and a mother that was supervising, and fled the scene. This unexpected tragedy has financial impacted these families. Money raised will go to offset the funeral costs, and medical expenses. 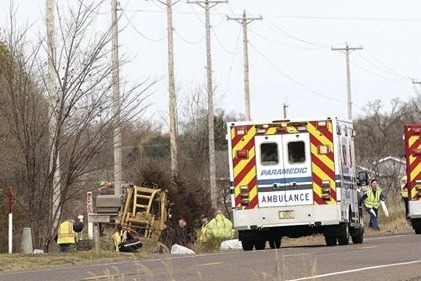 The traffic crash claimed the lives of Jayna S. Kelley (age 9) of Lake Hallie, Autum A. Helgeson (age 10) of Lake Hallie, Haylee J. Hickle (age 10) and her mother Sara Jo Schneider (age 32) from the Town of Lafayette. One additional injured girl, Madalyn Zwiefelhofer (age 10) is still hospitalized at this time. Madalyn is extremely lucky and is continuing to fight. She has already gone through open heart surgery, has 2 broken legs (needing multiple surgeries to try to fix), a displaced pelvis, a broken cheek bone, a broken wrist, a broken arm, cuts in her kidney and spleen and many other cuts/bruises. We will as promised divide the GoFundMe money up five ways, four of which will go to the impacted families, the Kelley’s, the Helgeson's, the Zwiefelhofer's and both Haylee Hickle and her mother Sara Jo Schneider’s family. The fifth portion of the donations will go into a fund that will cover future needs. During this time CCEDC will be meeting with our accountants ( claconnect.com) who will be helping us with the withdrawal process and make sure that it is in compliance with all regulations with the IRS and State. There has been many donors asking how money will be disbursed evenly for this reason I hope this update satisfies that request. The day of the tragedy Chippewa County Economic Development Corporation received numerous calls from our investors, several board members, and colleagues on how we could help. CCEDC works closely with Mr. Kelley and the Chippewa County Highway Department and has in the past asked the local Girls Scout Troop #3055 to attend STEM field trips and to help CCEDC with centerpiece decorations for our annual meeting that was held on May 17th, where over 500 business leaders gathered for breakfast. For Troop #3055 service to the community and the for their involvement in CCEDC activities the establishment of this GoFundMe page was a small token of action that I and CCEDC could do for these families impacted by the tragedy. It's a shame that something like this tragedy is the top story in the Chippewa Valley. Thanks to everyone who donated the families impacted can breath a little easier and are doing their best with God's help to heal. CCEDC issued checks to some of the families while others are still getting legal advice. Just wanted everyone to know on the updates. Follow the link above to read about this story. CCEDC wanted to share with you a thank you video from Girl Scout Troop #3055 that they wanted to share with everyone. The girls, the families and our community cannot thank you all enough! 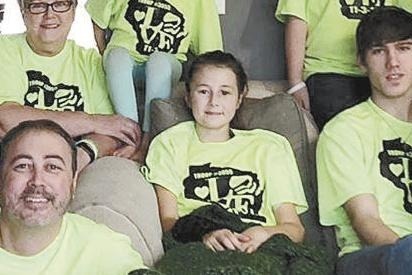 Madalyn, the 10-year-old girl who survived the November 3rd, crash in Lake Hallie that killed four others, left Mayo Clinic Hospital, St. Marys Campus, in Rochester, Minn., on Wednesday and is back in Chippewa Falls with her loved ones. 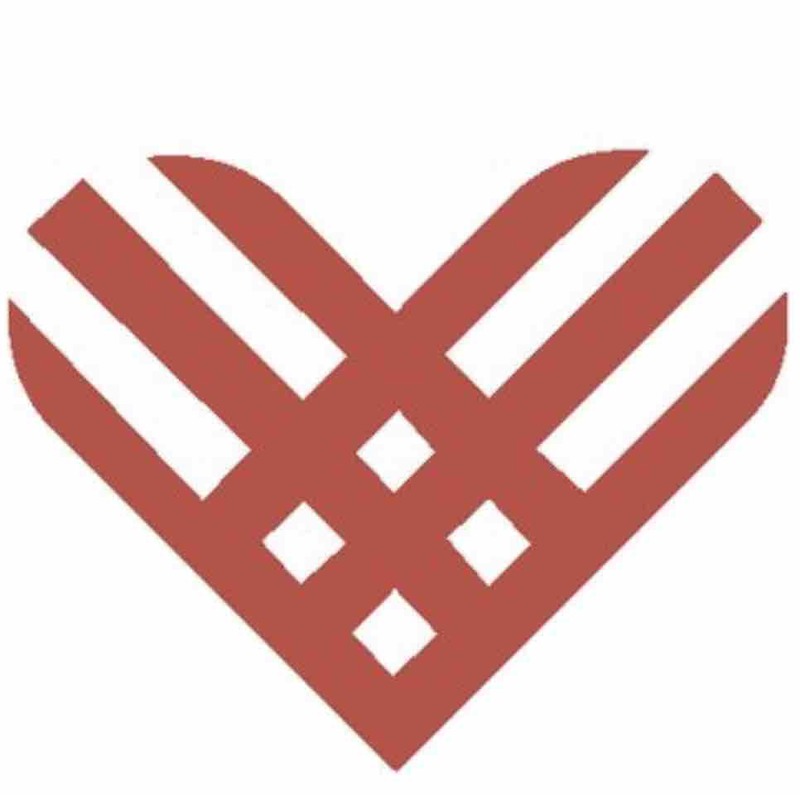 As we approach the end of our campaign to help with the financial hardship caused by this senseless tragedy, we are keeping this page up through Giving Tuesday.. so please share this with those who traditionally utilize this Giving Tuesday event as a way to give back and help each other. 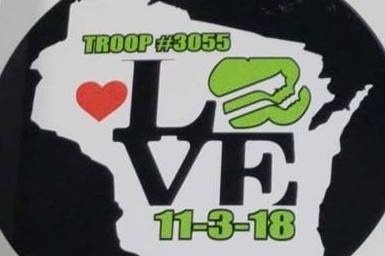 Again, there are not words which can properly express our thanks to those who keep Troop 3055 families in their prayers!